Harvard research reveals how going on vacation, especially if you meditate while you're on vacation, restores your body and mind on a genetic level. If a true vacation is having nothing to do and all day to do it, then not many of us can say that we’ve actually gone on vacation recently. But, according to the latest Harvard research, going on vacation, and adding some regular meditation into the mix, might help you live longer and heal faster. Researchers from Harvard Medical School, the University of California, San Francisco, and the Icahn School of Medicine at Mount Sinai wanted to measure the biological effects of a good old fashioned vacation compared to a meditation retreat. They conducted a study about the short and long-term effects of taking a 6-day resort vacation (“vacation effect”) vs. attending a 6-day retreat with meditation, yoga and self-reflection exercises (“meditation effect”). After a week away from their daily grind, everyone reported lower stress, better mood, and greater awareness and vitality. Ninety-four healthy women, aged 30-60, stayed at a resort for a week and were split into three groups: non-meditators who just wanted a resort vacation, non-meditators who wanted to try meditation, and regular meditators (those who had meditated at least 4 times a week, for at least 15 minutes, over the previous 6 months) who joined the retreat also. The meditators, novices, and pros meditated for a total of 12 hours over the course of the 6 days, did 9 hours of yoga, and attended lectures. The focus was increasing inner calm and expanding awareness of one’s body, breath, and self. Measurements were taken before and immediately after the one-week stretch, as well as one month and ten months afterwards. Results showed that no matter which group these women were in—vacationer, novice meditator or experienced meditator—after a week away from their daily grind, everyone reported lower stress, better mood, and greater awareness and vitality. The “vacation effect” was strong, immediate, and even lasted for up to one month. All women also showed changes in gene activity related to decreased stress response and better immune function. The “vacation effect” was strong, immediate, and even lasted for up to one month. It turns out that when we take some time off to relax, genes that are normally needed for dealing with stress, injury and wound-healing are temporarily decreased. These stress-related genes, like MME and FOXO3, are known to have an antidepressant effect when their levels decrease, which can be achieved even with a one-week rest. When the researchers surveyed these women 10 months later to see how they were doing, the findings were very interesting. Novice meditators who participated in meditation, yoga and self-reflection exercises during the retreat showed the longest-lasting benefits of lowered stress and depressive symptoms, even after 10 months had passed. It turns out that immediately after the retreat, this group of women showed the highest increase in a blood-biomarker (plasma Aβ42:Aβ40 ratios) that is predictive of decreased risk of Alzheimer’s disease, dementia, and major depression. In fact, after just one week at the meditation retreat the novice meditators showed increases in this blood biomarker that exceeded that of the regular meditators. Regular meditators already have higher existing levels of healthy aging and immune response biomarkers. 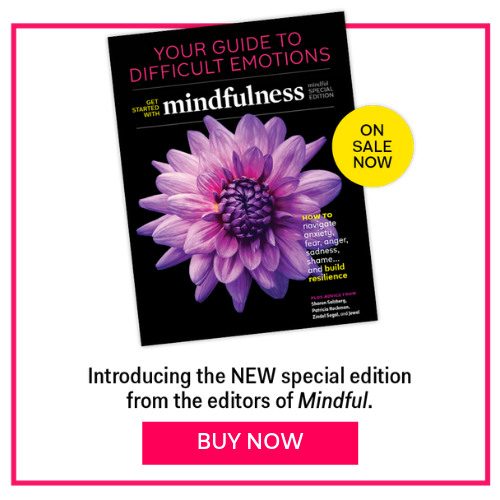 Why does the “meditation effect” seem less enduring for experienced meditators compared to novice meditators, both psychologically and biologically? This is actually because regular meditators already have higher existing levels of healthy aging and immune response biomarkers. For example, the study points out that because of regular meditation, these women already have healthy levels of plasma Aβ42:Aβ40 ratios, and also have longer telomeres—a genetic component predictive of healthy aging. Indeed, past studies have suggested that mindfulness-based stress reduction and regular meditation can slow cellular aging, and regular mind-body practices can alter gene expression to reduce inflammation in our bodies. Since short telomeres are linked to earlier onset of chronic diseases of aging, such as cardiovascular disease, certain cancers, and diabetes, regular meditation can provide relief for our immune system, lower certain health risks, and lead to healthier aging. So what’s the takeaway message? All in all, it’s good news for everybody, but some good news lasts longer than others. A one-week vacation in a relaxing location is sure to boost your mood and immune system. If you are a new or novice meditator, taking a week off to attend a meditation retreat instead of just vacationing, with maybe some yoga and self reflection time, will tune up your mind and body for even up to 10 months. If you are currently a regular meditator, your body is already physically healthier in terms of aging markers, immune system and stress regulation, and going on retreat helps to strengthen this even more. So the “vacation effect” brings short term good news for everyone, and the “meditation effect” brings longer-lasting good news, especially when you keep at it! June is 10 months away… start planning to do nothing! For more on how meditation heals the body, read: How the Mind Helps Heal the Body, by Ed Halliwell.